The travel industy is continuously developing and your needs evolve along with it. In our attempt to offer you a wide choice of travel content, we are permanently working on expanding the list of available suppliers. As you probably know, TBS is already integrated with more than 50 travel content providers for flights, hotels, activities, insurance, cruises, cars, transfers and also with international payment gateways. Our team is currently in the process of developing XML integrations with new suppliers, soon to be released. totalstay is one of them - and it is expected to be available for TBS users in mid-October. totalstay is the innovative online hotel reservation company that provides discounted hotels to the travel industry. 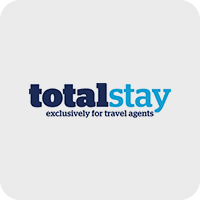 totalstay is part of the JacTravel Group, which has grown steadily into one of the largest and most successful accommodation providers today. Live data, live availability, and instant online confirmation etc. Already have an agreement with totalstay and want to get access and to book content from them through TBS travel booking system? Let us know!